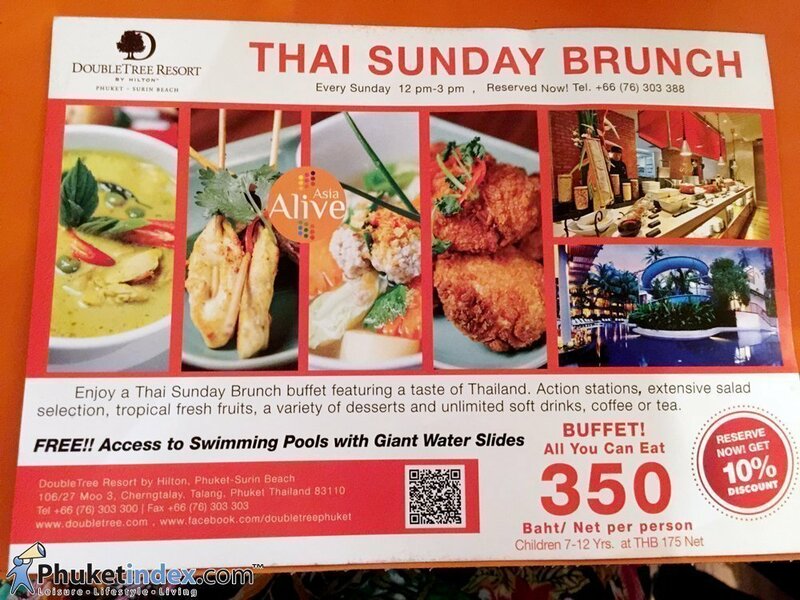 Enjoy a Thai Sunday Brunch buffet featuring a taste of Thailand. Action stations, extensive salad selection, tropical fresh fruits, a variety of desserts and unlimited soft drinks, coffee or tea. FREE!! Access to Swimming Pools with Slides.